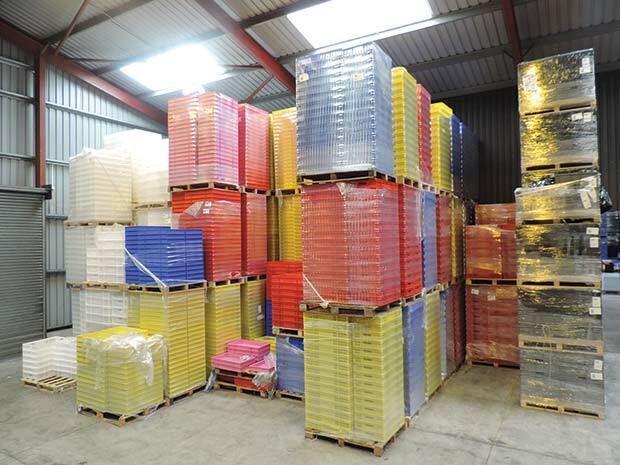 Alison Handling is Europe’s largest independent stockist of plastic storage boxes, pallets and totes. Established in 1988, the company supplies some of the UK’s largest businesses, including major supermarket chains and department stores. Here, director Alison Dearden shares her top tips for getting the best value from your warehouse space and stacking solutions. Most businesses can reclaim valuable space by making more efficient use of what’s already there. This can mean rearranging the floorplan, but also making the most of vertical space by introducing efficient stacking systems. Expanding upwards instead of outwards means you can fit more products and materials in the same amount of floor space. It can also save on distance travelled for warehouse operatives and product, some smart planning and investment in quality stacking solutions can generate new space without a costly move or expansion. Basic storage can be rigid in form and restrictive; however, by investing in the right products that can stacks and nest, you can protect your goods whilst making efficient use of valuable warehouse space. Alison Handling’s solutions, when not in use, nest inside each other, reducing their stacking size by up to 75%, saving valuable space both in warehousing and during transportation. Nesting capability doesn’t negate stacking strength. Our storage stays strong and our specialist heavy duty range provides added support. Warehousing can often mean striking a balance between keeping products together but separate. We recommend our colour-coded stacking solutions to make goods easy to locate and segregate. Alison Handling’s products are available in various specialist sector ranges to which can keep perishables safe, with heavy duty lines to manage larger and bulkier items, and eco ranges which off an affordable option when basic stacking is enough. Smart storage requires accessibility, meaning goods and products must be as easily moved as stored. Our storage solutions sit neatly with own manufactured dollies that have heavy duty castors, creating a tight turning circle and leaving no corner of your warehouse inaccessible. These dollies can also be colour co-ordinated to match storage boxes and containers. The most important aspect of any stacking and storage is safety. Always ensure you keep up to date with legislation and never be tempted to cut corners. For example, manual handling regulations have maximum height and weight requirements and the risks of non-compliance are fines, reputational damage, and injury or worse to your workforce.